Is anyone else Shaking Out tomorrow?? At 10:15 AM, think of me and the kids as we drop, cover, and hold on! I picked up a book at the library today to add to our little drill-io. It's a little text-heavy but they are really into science and weather so they might sit through it. I'll keep you posted! 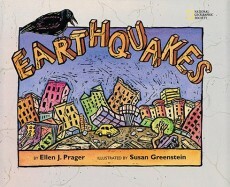 I also got a few easy readers about earthquakes in case the first graders want to read a book to themselves! They are finally independently picking books at their levels and actually attempting to read the real words! I love you, first graders. 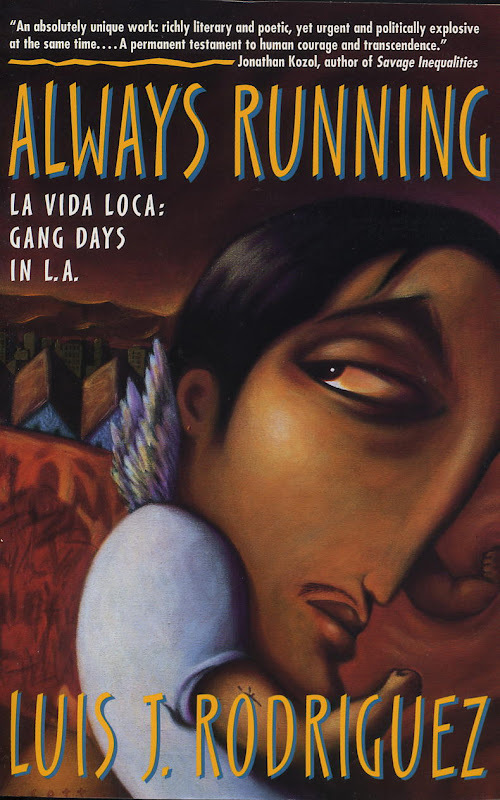 Speaking of books, a few people wanted to know what book I was reading that I mentioned in my Currently yesterday! Here is the cover. It is a memoir of this man's life growing up as a child of Mexican immigrants in east L.A. and also his gang situation. It is really interesting and very heart-breaking, as I said. One part so far that touched my heart was when he started first grade in an all English speaking classroom. He could tell his teacher didn't want him there and she didn't know what to do with him, so he played with blocks all year in the back and didn't know how to ask to go to the bathroom. It made me so sad. It's easy to read and very engaging, so if you are interested in this type of book like I am, then I suggest you try it out! He uses a ton of Spanish words and there is a little glossary in the back, bless his heart. And lastly, is anyone out there on Goodreads? I am! And I love it. It helps me keep track of what I'm reading and what I've read! I put a little widget on my sidebar that shows my currently reading list. You should friend me if you are on Goodreads! It is the bomb dot com. we're doing the earthquake drills tomorrow!! That book looks amazing. I am so bad at reading for myself during the year - maybe after grad school is over, I'll read it! Also, I meant to comment on your meanie situation yesterday...I'm sure other people have said the same thing, but I wanted to suggest bucket fillers. My kids love it (of course we still have the occasional mean girl thing, but it seems to really work). It seems to be sort of like peer pressure combined with positive incentives. I hear my kids from time to time saying, "you really filled my bucket" or "don't be a bucket dipper"." It's pretty cute. There are a million blog posts about it out there - email me if you want to talk more! I'm going to read the book... I read like crazy. At least a book each week. I love a good recommendation. I hope you'll keep posting about your bullying situation. I know I'm not the only one who will be following with interest. In my experience (both as a teacher & a parent) the most important thing is to pick 1 clear method and stick to it. There are tons of methods out there. You need one you can implement and stick to.